Satellite SST observations are essential observations for operational oceanography, weather and climate forecasting. 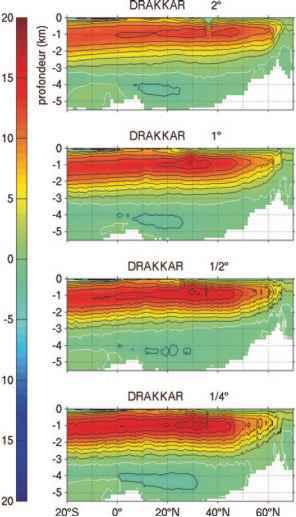 SST data are systematically used for global and large scale observations for climate applications and to correct for large scale biases in ocean models (due to forcing field errors). Thanks to GHRSST, major improvements in data processing issues and use of different types of sensors have occurred. New high resolution products (from level 2 to level 4) are now available and used by ocean analysis and forecasting systems. High resolution SST data provide un-valuable information on mesoscale and submesocale phenomena. There is still a lot to do, however, to fully use the high resolution information content of SST observations in ocean models. This is an area of active research.